Winter is coming quickly and here in Michigan we all know what to expect. Snow days are great for getting out and building a snow man or taking the kids sledding… Or moving into a brand-new house! Sure, it might seem like a hassle but overall moving in the winter can come with a variety of benefits. 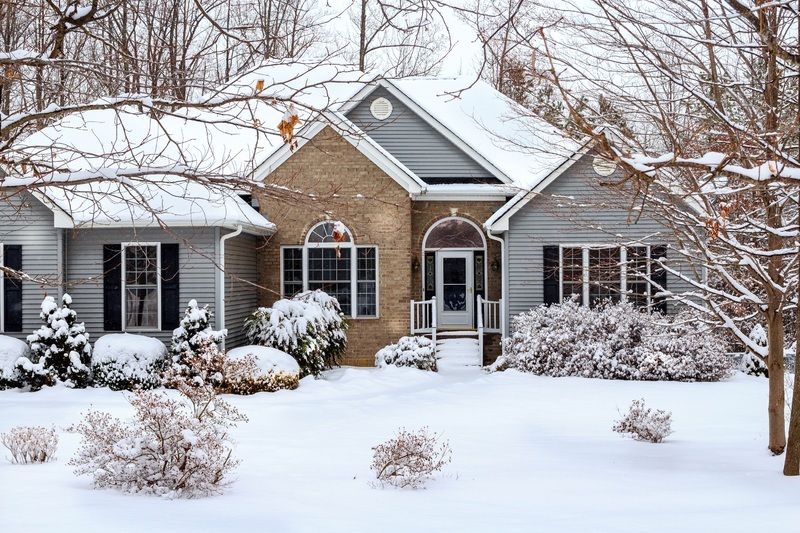 There may be fewer houses on the market… but those that remain listed over the winter are likely to be motivated sellers who are willing to negotiate. With less buyers in the market you have less competition when it comes to placing your bid. But how do you find that perfect house? With a lull in the buyer pool you can easily find an agent with plenty of free time on his hands to show you properties. If you’re looking to secure financing it may be a little quicker. You might find that lenders may compete to gain your business as their business slows in the cold months. Furthermore, less loans being processed means your paperwork will be processed faster. Even if you’re just looking for an apartment you may find it beneficial to start your search in the winter. With their incoming clients at a low, apartment managers may be willing to offer move in incentives to get their empty units filled. Don’t forget to ask for winter move in specials and remember you can always shop around. Moving companies also slowdown as less people are moving in the winter, but we don’t stop. This means you will have more options when it comes to scheduling your move. You will get the job done quickly by an energized crew that’s excited to get to work. After all, working in the cold makes you move quicker to get back inside whereas working in the heat can wear you down and leave you feeling sluggish. Beating the heat isn’t just great for the moving team, it’s also beneficial to your belongings. Many items can be damaged by extreme heat, while most items are unaffected by cold . Batteries, cosmetics, old media like CD’s, tapes and vinyl records are just a few items that hate intense summer heat. Most electronics will do just fine in the cold if you make sure to power them off to cool down in advance. The less drastic the temperature shift is for these items, the less likely it is you will damage components. As you can see there are a good number of benefits to planning a winter move, but always keep safety in mind first and foremost. It’s never a good idea to try hauling boxes in a snowstorm or extremely icy conditions. Taking proper precautions can alleviate most of the dangers of cold weather moving so just plan accordingly! When you’re ready to schedule your winter move just give us a call or head to our Contact page. We work all year round to provide the highest level of customer service and make moving a breeze any time of year!